Disclaimer: This is a sponsored post written by John Fendley of the Sustainable Seed Company. I only recommend products and companies I personally like. 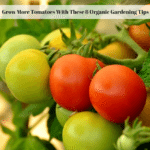 Growing great tomatoes is easy if you know the tricks and secrets. Growing great heirloom tomatoes is also quite easy. 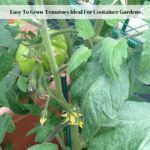 You will find a variety of tips and tricks for successfullly growing tomatoes below as well as product recommendations from companies I have a referral relationship with. I will be compensated if you make a purchase after clicking on my links. 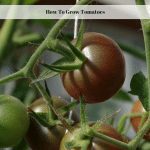 Use these easy tips to grow enough tomatoes for meals, canning and seed saving for replanting the following year. People often associate the color and shape of fruits and vegetables found in the grocery store as the standard for produce, however these uniform varieties generally lack flavor and nutrition. Heirloom tomato seeds provide gardeners with the ability to grow their own delicious, nutritious vegetable and be able to save seeds from year to year. Unlike hybrids, heirloom tomatoes breed true, which means the next generation will have equal quality of the first, including excellent flavor. 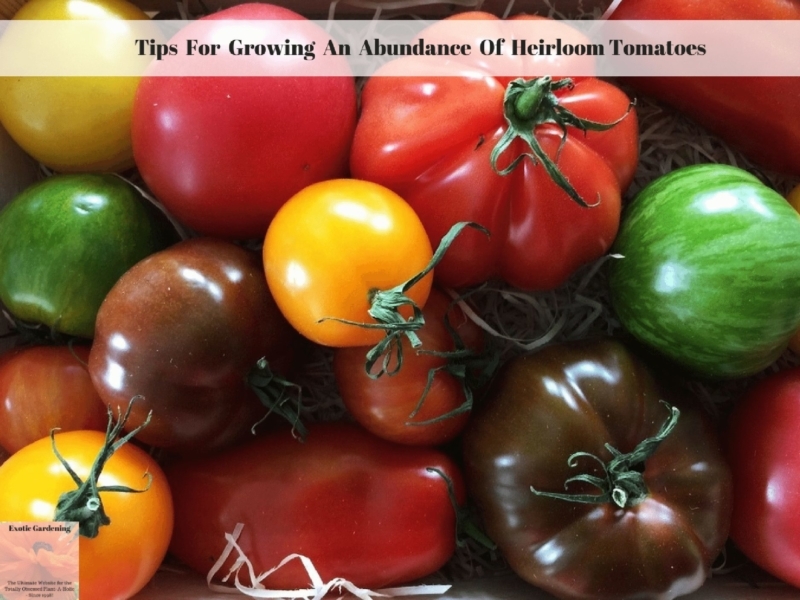 As spring approaches, order and start heirloom tomato seeds with these tips today! Start seeds indoors approximately 6-8 weeks before your area’s last frost date. These can be started in individual pots or a large tray filled with a combination of potting soil, vermiculite and peat moss. Place in a warm area, above 55 degrees. Once the seeds have sprouted, the seedlings will require abundant light either through grow-lights or natural daylight. Plants with an inadequate light source become spindly and weak. If daytime temperatures are warm enough they can be placed outside during the day, however be cautious about setting them in direct sun if they have not received adequate light. Gradually adjust the amount of light they receive and protect seedlings from wind. After all threat of frost is past and temperatures remain warmer than 55, the seedlings can be planted in the garden. Soil ph of 5.8 to 7 is ideal for heirloom tomatoes. Every gardener has their own tips, but we plant our seedlings up to the base of the first row of leaves and mix compost with the soil around the roots. Mulching and placing cans around the base of the plants may help protect them from drying winds and garden pests. Water at least one inch per week on a regular schedule, preferably mornings. This helps protect heirloom tomatoes from cracking, rotting and developing leaf roll. Adjust as necessary for the local conditions. Dry farmed tomato varieties are an excellent choice for gardeners in desert areas. Continue adding organic mulch to heirloom tomato plants to protect the tomatoes from lying and rotting on the ground. Many gardeners prefer using tomato cages to keep the fruit off of the ground. For best garden results, add compost and mulch throughout the growing season and rotate crops annually. Learn more about which plants provide nutrients to the soil and work best as companion plants for heavy feeders. Heirloom tomato seeds are available in many varieties that work well in every climate zone. It is estimated that more than 80% of tomato varieties that existed in the early 1900’s have been lost. By planting extra plants and saving seeds for the following year, gardeners are able to ensure existing varieties will remain available for future generations. Gardeners will enjoy an abundant harvest from heirloom tomato seeds that can be shared with friends, canned or frozen for use throughout the other season. Nutrition, flavor, color and the ability to provide a sustainable garden are popular reasons for learning how to plant heirloom tomato seeds.